Saturday mornings in December, we’ll have an open showroom stocked with all our newest pieces, your favorite design products, one-of-a-kind objects, and a few discounted seconds. December 8, 15, and 22. Facebook event page here. 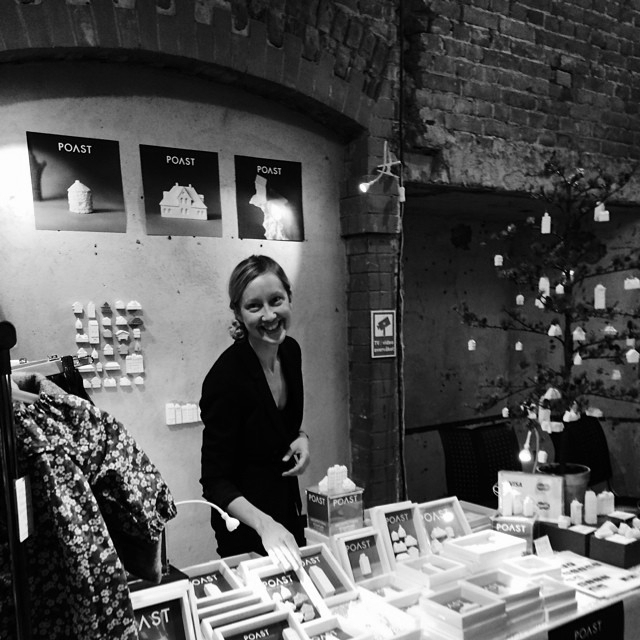 Christmas market featuring local designers, makers, and businesspeople. Cozy atmosphere with courses in wreath-making, spoon-carving, and paper star folding. Music, food, and friendly faces. Tickets available at facebook event page. Poast Design Studio will offer a series of design workshops during Bergen Design Festival, September 22 - October 1 2017. Come and have fun playing with some of our studio's tools and techniques. Open to the public! Register for your free workshop at poast.no/workshops. Contact +47 411 40 540 with questions. Spaces are limited. 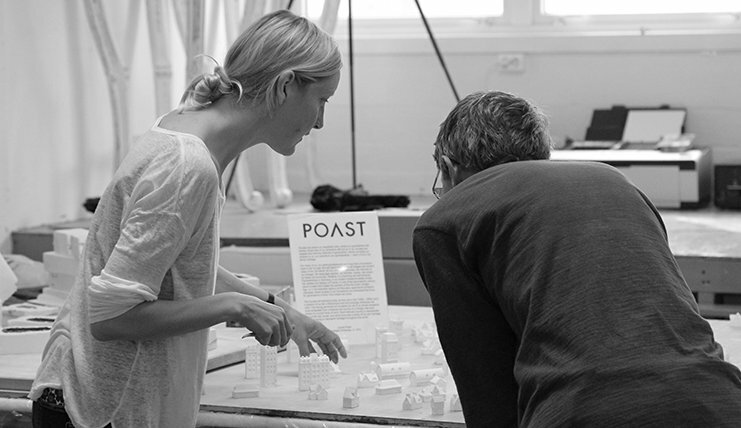 Poast is the maker of the popular Wall Bowl and other products available in design shops throughout Bergen and abroad. Proud to be based in Bergen, Poast Design Studio is a small and quite international group of Swiss, American, Dutch, and Norwegian professionals. 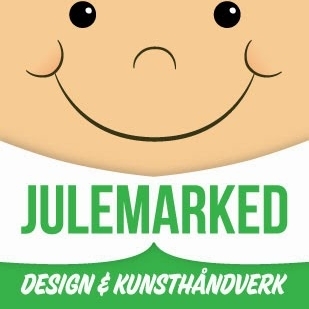 Come and shop for special Christmas gifts at the most koselig Julemarked in Bergen. Located behind Bryggen next to Mariakirken, at Schøtstuene. The new candle holder, the award-winning wall bowl, wall shelf, wall valet, and wall hook in shades from white to deep black will be presented for sale. Come and select your favorite pieces with the markings and colors you like best, for gifts and for your home as well. I'll also have some of the original architectural tree ornaments available. See the workshop and make your purchases before I run out! 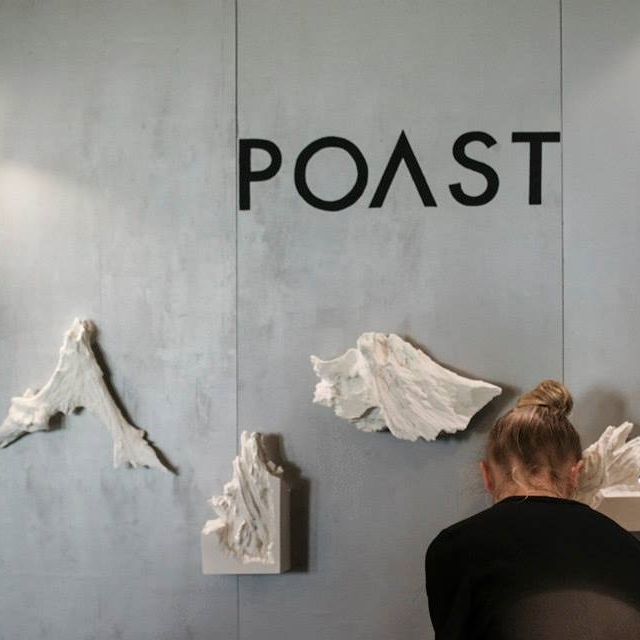 POAST welcomes you to the midwinter open house located in the loft studio at Legenes Hus, Kalfarveien 37, Bergen, Norway. 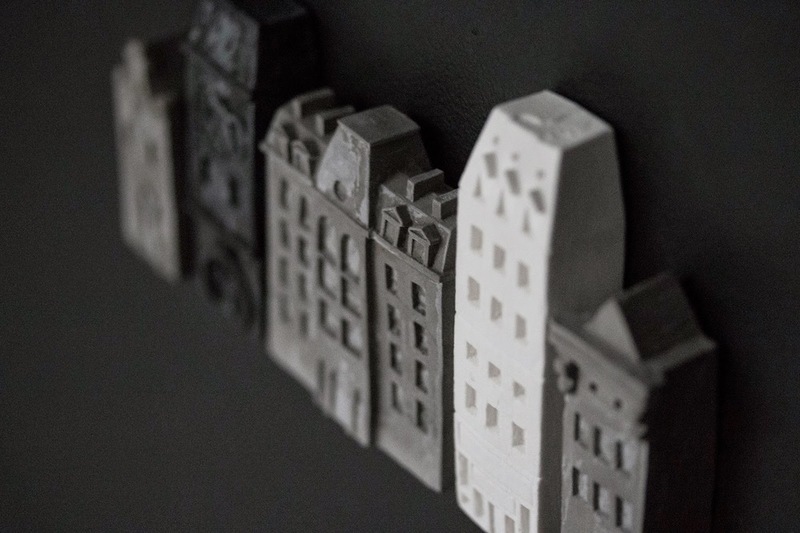 POAST wall storage pieces, table bowls, and landscape sculptures are part of the Vedholmen Galleri 2015 Christmas Exhibition and will be for sale through the gallery from 7 November through 13 December. 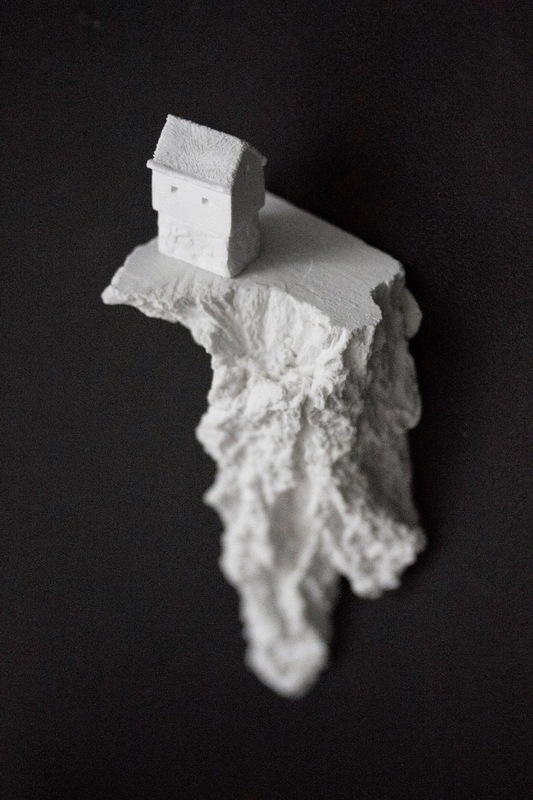 The collective exhibition also features Jan Erik Willgohs, Henriette Hagelien, Sören Dutkowiak, Line Hvoslef, Norvald Hemre, Sarah Louise Reed, Tuva Gonsholt, Kari Aasen, Johannes Kretchmer, Peter Marron, and Vibeke Harild. Grieghallen, Bergen, Norway. Premiered in 2011, the Interior and Design show in Bergen, Norway is predicted to be one of the most important business and marketing places for established and up and coming designers, retailers and producers from both Scandinavian and international settings. The fair is a place for retailers to sell and promote their newest products and trends and for producers and designers to present and talk about their products. This is perfect for all parties to meet the public and also create future business opportunities within the industry. Welcome to Interior & Boligmessen 2015! 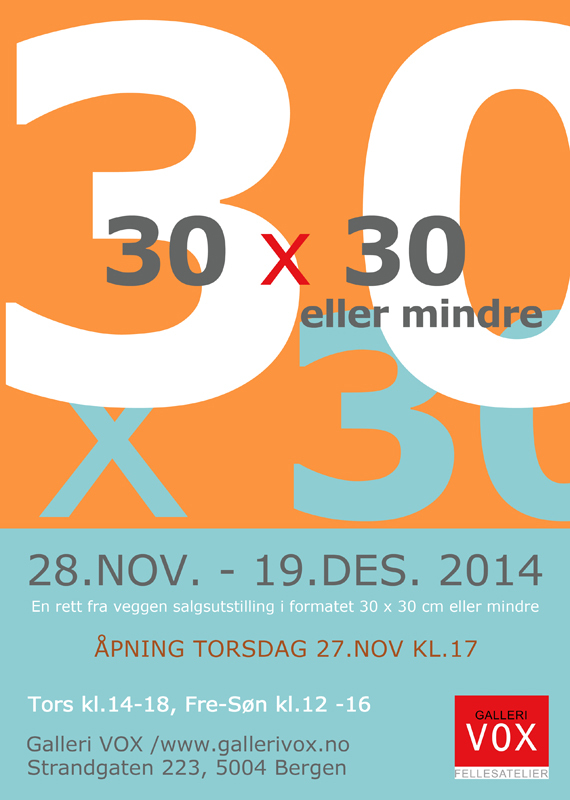 Galleri Vox has invited me to submit three art pieces for the 2014 group exhibition, "30 x 30." The show will feature works by 50 Bergen artists, with a total of 150 small works for sale. A portion of the sales will benefit artists with disabilities who have a nice opportunity to work in the studios hosted by Galleri Vox. Please join us at the opening Thursday, 27 November at 5:00 p.m. Here is a preview of three works by Laurie Poast that will be included in the exhibition. 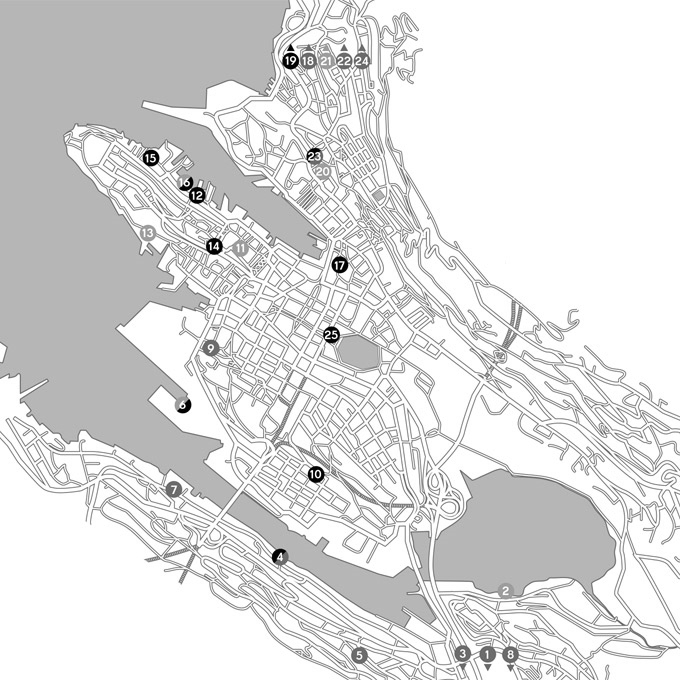 The artists of Bergen open their art studios to the public and host viewings and dialogue. Organized by Bildende Kunstneres Forening Hordaland (BKFH), Norske Kunsthåndverkere Vest-Norge (NKVN) and Hordaland kunstsenter (HKS). Find Laurie Poast's studio at Kunstnerverksteder CS55 on the second floor. 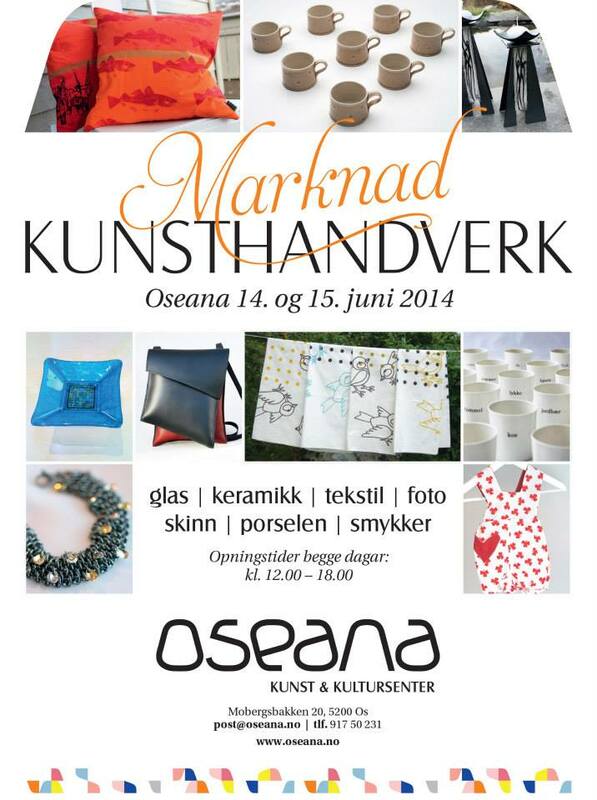 Fine art and craft market hosted by the Oseana Kunst & Kultursenter. 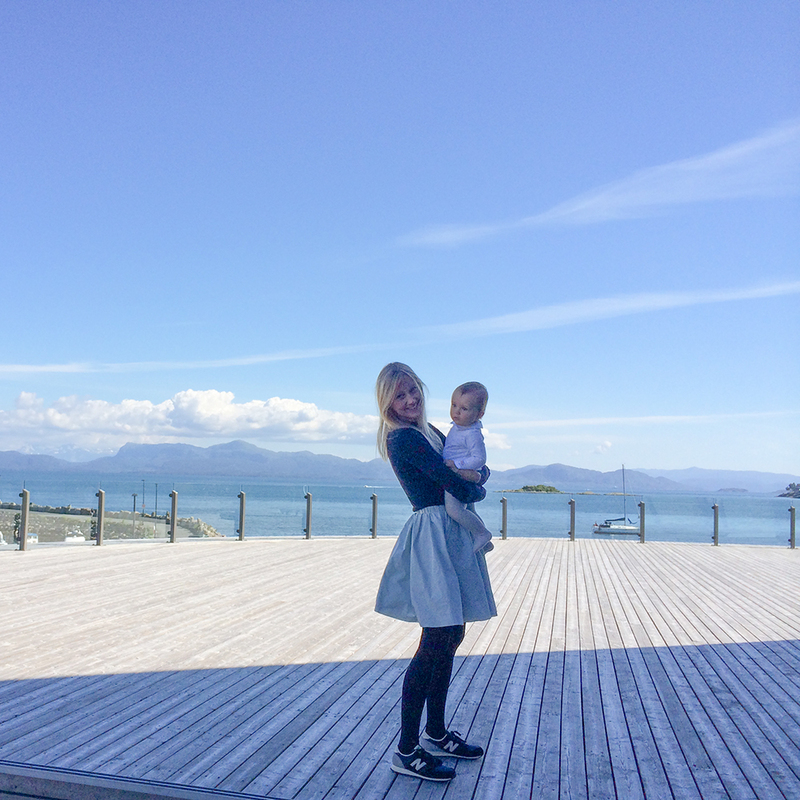 Come and enjoy the beautiful seascape and beautiful artwork in Os, Norway!